Established Journal of conquest in 1997 and was issued by the Teachers' College - University of Mustansiriya, and after the founding of the University of Diyala in 1999 became the magazine opening issue of Teachers College / University of Diyala, was concerned with the scientific research and humanitarian, educational, where she was issued on a quarterly basis any four numbers per year and was the first president editor of the Journal of conquest is Prof. Dr. Mohammed Jassim Naddawi and the editor Prof. Dr. Owaid origin had to add a student to a group of professors who were representing the members of the editorial board of Journal Has become the magazine conquest since its founding a great source of accurate information which had the benefit of researchers and graduate students to this day because of the wisdom based on the issued and Rsanthm scientific, and rotate the editor of the magazine opening a constellation of professors bones and the work of a group of creative staff, has been stopped Journal of conquest for issuing numbers between 2006-2007, due to security conditions experienced by the origin had to add to the martyrdom of the province secretary editor of the magazine at the time (Dr. Hassan Ahmed Mowhoush) Allah's mercy. After the establishment of security in Diyala province, and the return of normal life to all parts of the province returned magazine conquest issue number and the new and improved, especially after I got the magazine on the ISIN (issn) and returned magazine open to supplement the march of scientific educational research and the psychological value in the year 2008 and as directed by the ministry became a magazine opening the deployment of a competent educational and psychological research only. تأسست مجلة الفتح في سنة 1997 وكانت تصدرها كلية المعلمين – الجامعة المستنصرية , وبعد تأسيس جامعة ديالى سنة 1999 أصبحت مجلة الفتح تصدر من كلية المعلمين / جامعة ديالى وكانت تعنى بنشر البحوث العلمية والإنسانية والتربوية حيث كانت تصدر بشكل فصلي أي أربعة أعداد في السنة وقد أصبحت مجلة الفتح منذ تأسيسها مصدر كبير للمعلومات الدقيقة التي كان يستفيد منها الباحثين وطلبة الدراسات العليا إلى يومنا هذا وذلك بسبب حكمة القائمين على إصدارها ورصانتهم العلمية ,وقد تناوب على رئاسة تحرير مجلة الفتح كوكبة من الأساتذة العظام وعمل فيها مجموعة من الموظفين المبدعين , وقد توقفت مجلة الفتح عن إصدار أعدادها بين عامي 2006-2007 وذلك بسبب الظروف الأمنية التي مرت بها المحافظة اظافة إلى استشهاد سكرتير تحرير المجلة في ذلك الوقت (الدكتور حسن احمد مهاوش) رحمه الله. وبعد استتباب الأمن في محافظة ديالى وعودة الحياة الطبيعية إلى ربوع المحافظة عادت مجلة الفتح بإصدار أعدادها وبحلتها الجديدة وخاصة بعد أن حصلت المجلة على الترقيم الدولي (issn ) وعادت مجلة الفتح لرفد المسيرة العلمية بالبحوث التربوية و النفسية القيمة ففي سنة 2008 وحسب توجيهات الوزارة أصبحت مجلة الفتح مختصة بنشر البحوث التربوية والنفسية فقط. 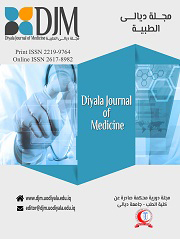 Diyala Journal: Journal of scientific research dealing with the Court of humanitarian and scientific texts achieved sobering investigation numbered and bear an internationally accredited (ISSN1998-104X) and accepted for publication on the research according to the following rules: 1 publishes original research and sober not previously published in other journals, and is subject to the calendar every search by the experts according to their specialties minute. 2 offers Search two copies on paper of the type (A4) printed on the calculator and spaces to double between the lines with the left (2.5 cm) from all points of the paper and preferred to use the character (Simplified Arabic) style (16) to search the whole, the research the main and branch Vttaba line bold. 3 research resulted as follows: Abstract in Arabic, Introduction, chapters research, results and discussion, conclusions, Conclusion, Abstract in English, the margins (if any), and sources. 4 does not exceed the number of pages (20) page, including tables, forms and images in the case beyond that deducted the amount of $ (5,000) five thousand dinars for every two pages. Be placed 5 charts or tables in the text or images with serial numbered consecutively with the development of their own titles, and is drawn charts and black Chinese ink on transparent paper (tracing paper) As for the photographs Vttaba on paper of a kind brilliant. 6 are the sources mentioned in the text with numbers placed in brackets, and set the margins and in the end of the research sources on a separate sheet in the order they are received in the search. 7 take into account the assets of the magazine sober scientific inquiry in the case of published texts achieved on the researcher to submit a photocopy of the first and last page in the manuscript with models of some pages and not the text investigator has published or sent for publication in other journals. 8 found under the title of research history of acceptance for publication of scientific and administrative purposes. 9 No research are to their owners whether they were accepted for publication or not accepted for publication. 10 send the research with all correspondence and inquiries regarding the magazine to the following address: Secretary of the board of Liberation College of Education for Human Sciences University of Diyala Diyala, Iraq, the old road to Baghdad e-b 216 Or email (journal@coehuman.uodiyala.edu.iq) http://www.humanmag.uodiyala.edu.iq This journal is specialized in humanities It was established in accordance with the needs of civilized community to achieve its aims in writing , research and Scientific documentation. It relies on teaching staffs and academics to spread innovative thinking for the benefit of specialists and scholars. It is mention worthy that the journal was established in 1997 and has published(62) issues so far. مجلة ديالى : مجلة علمية محكمة تعنى بالبحوث الإنسانية وبالنصوص المحققة تحقيقا علميا رصينا وتحمل ترقيما دوليا معتمدا (ISSN1998-104X) وتقبل البحوث للنشر على وفق القواعد الآتية : 1ـ تنشر البحوث الأصيلة والرصينة التي لم يسبق نشرها في مجلات أخرى، ، ويخضع كل بحث للتقويم من قبل خبراء متخصصين تبعا لاختصاصاتهم الدقيقة . 2ـ يقدم البحث بنسختين على ورق من نوع (A4) مطبوعة على الحاسبة وبمسافات مضاعفة بين الأسطر مع ترك (2.5سم) من جميع جهات الورقة ويفضل استخدام حرف (Simplified Arabic) ذات النمط (16) في البحث كله، أما البحوث الرئيسة والفرعية فتطبع بخط غامق . 3ـ ترتب البحوث كما يأتي: المستخلص باللغة العربية ، المقدمة ، فصول البحث، النتائج والمناقشة ، الاستنتاجات ، الخاتمة ، المستخلص باللغة الانكليزية، الهوامش (إن وجدت) والمصادر . 4ـ لا يتجاوز عدد صفحات البحث (20) صفحة بضمنها الجداول والأشكال والصور وفي حالة تجاوز ذلك يستقطع مبلغ قدره (5.000) خمسة آلاف دينار عن كل صفحتين . 5ـ توضع المخططات أو الجداول أو الصور في المتن مع ترقيمها ترقيما متسلسلا مع وضع العناوين الخاصة بها ، ويتم رسم المخططات البيانية بالحبر الصيني الأسود وعلى ورق شفاف (tracing paper) أما بالنسبة للصور الفوتوغرافية فتطبع على ورق من النوع اللامع . 6ـ يتم ذكر المصادر في متن البحث بأرقام توضع بين قوسين ، وتوضع الهوامش والمصادر في نهاية البحث على ورقة منفصلة بحسب تسلسل ورودها في البحث . 7ـ تراعي المجلة أصول التحقيق العلمي الرصين في حالة نشر النصوص المحققة على أن يقدم الباحث نسخة مصورة من الصفحة الأولى والأخيرة في المخطوطة مع نماذج من بعض صفحاتها وألا يكون النص المحقق قد نشر أو أُرسل للنشر في مجلات أخرى . 8ـ يثبت أسفل عنوان البحث تأريخ قبول البحث للنشر لأغراض علمية وإدارية . 9ـ لا ترد البحوث إلى أصحابها سواء قبلت للنشر أو لم تقبل للنشر . 10ـ ترسل البحوث مع جميع المراسلات والاستفسارات المتعلقة بالمجلة على العنوان الآتي: (journal@coehuman.uodiyala.edu.iq) اي هي مجلة انسانية مختصصة تنبع من حاجة المجتمع المتحضر لتحقق اهدافها في مجال التأليف والبحث والتوثيق العلمي للتدريسين والاكاديميين لنشر الفكر المتجدد الذي يستفيد منه المتخصصون وطلاب العلم علما انها اسست عام 1997 واصدرت ( 78) ثمان وسبعون عددا. A Scientific and Evaluated Journal Published by the College of Engineering – University of Diyala Date of First Issue (2008) No. of Issues per Year (2) (mid-year journal)until 2013 they became (4)per year (seasonal journal) No.of Issues Published between (2008–2013) 13 Journal publishes research in Arabic and English specialized in all fields of engineering. مجلة علمية محكمة تصدرها كلية الهندسة – جامعة ديالى تاريخ اول عدد صدر سنة 2008 عدد الاعداد التي تنشر في السنة (2) أي انه مجلة نصف سنوية لغاية 2013 حيث اصبحت (4) اعداد في السنة اي اصبحت المجلة فصلية. عدد الاعداد التي نشرت من سنة 2008 – 2013 (13) المجلة تنشر البحوث بالغتين العربية والانكلبزبة المتخصصة في المجالات الهندسية كافة. Journal of scientific journal specialized in the areas of sports science different supervised by the editorial board of faculty members from different specialties in the field of physical education, and draw advisory panel with titles advanced scientific terms of reference of the magazine and from different faculties of Physical Education in Iraqi universities, magazine aims to spread the culture and awareness of mathematical sciences through scientific research that are subject to rigorous scientific and rational evaluation by experts before publication. مجلة علمية دورية تخصصية في مجالات علوم الرياضة المختلفة تشرف عليها هيئة تحرير من أعضاء الهيئة التدريسية من اختصاصات مختلفة في مجال التربية الرياضية, وتستعين بهيئة استشارية من ذوي الالقاب العلمية المتقدمة في اختصاصات المجلة ومن مختلف كليات التربية الرياضية في الجامعات العراقية, تهدف المجلة الى نشر الثقافة والوعي الرياضي وعلومها من خلال البحوث العلمية الرصينة التي تخضع للتقويم العلمي الرصين من قبل خبراء مختصين قبل النشر. - It is a semi-annual scientific refereed Journal issued by the Faculty of Law and Political Sciences of Diyala University, Diyala / Iraq. - Its first issue was published in (2012). - It has two (2) issues with one volume per year. - The Number of Publications issued within the period (2012 - 2015) is (6) with one special issue . - It is assigned to publish scientific researches and refereed studies in various legal studies and political science from inside and outside Iraq. Moreover, it publishes Master's Thesis and doctoral dissertations in legal and political specializations. It also publishes the scientific books newly released, the works of scientific conferences and symposia held in the Faculty of Law and Political Science - University of Diyala. Members of the Advisory Board are from inside and outside Iraq. -	مجلة نصف سنوية علمية محكمة، تصدرها كلية القانون والعلوم السياسية- جامعة ديالى، ديالى/العراق. -	تاريخ أول عدد صدر سنة (2012). -	عدد الأعداد التي تصدر (2) عددين، بمعدل مجلد واحد في السنة. -	عدد الإصدارت التي أصدرت خلال الفترة بين (2012 - 2015) هو (6) أعداد، وعدد خاص واحد. -	تهتم بنشر البحوث العلمية والدراسات المحكمة في مختلف الدراسات القانونية والعلوم السياسية من داخل وخارج العراق، فضلاً عن نشر عرض رسائل الماجستير وأطاريح الدكتوراه في الإختصاصات القانونية والسياسية، ونشر عرض الكتب العلمية الصادرة حديثاً وأعمال المؤتمرات والندوات العلمية التي تقام في كلية القانون والعلوم السياسية - جامعة ديالى، اعضاء الهيئة الاستشارية هم من داخل العراق وخارجه.